Joanna Penn, author and blogmistress, writes a powerful piece about permission and publishing. “I’m done with taming the crazy,” she writes, and challenges writers to give themselves permission to plumb the depths of their talents and stop limiting themselves. There are enough obstacles and limitations in the world. Why make yourself one of them? Remember that today the 3rd book in Penn’s Sin series is now available, and it’s not too late to enter the “Kobo presents The Descent” contest. 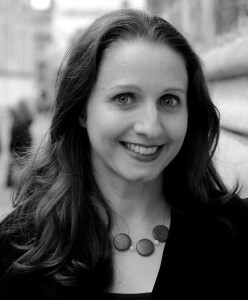 Joanna Penn is a British author, internet entrepreneur and international speaker whose books have appeared on Thriller and Action Adventure bestseller lists. Check out her author site here. It is possible to be published in ways other than by yourself and not be set limits. You’ll be criticised for it, of course. ( telling-all-too-much-drunk-mom-memoir-pushes-the-boundaries/article11557650/ We’ve come a long way since James Frey. He was reviled for making stuff up in a memoir. The author of Drunk Mom is criticised here for telling too much of the truth.) But you will probably be more widely noticed thanks to the services offered by traditional publishers, such as marketing, publicity and distribution.